In an era where full service gas pumping seems to be a thing of the past, Oregon not only still offers this type of service to its citizens but the “beaver state” also does not offer them any other choice – Oregonians are not allowed to pump their own gas! Of fifty states, only two do not allow “self-service dispensing of Class 1 flammable liquids at retail”. New Jersey is the other state that keeps its drivers in the driver’s seat when filling up their tanks. When told that Oregonians aren’t allowed to pump their own gas, the first question out of people’s mouths is typically, “Really?” which is almost always followed in the same breath with, “Why?” Why on Earth would licensed drivers not be trusted to fill up on their own? It’s not exactly rocket surgery, after all. The answer lies, of course, in the State laws. 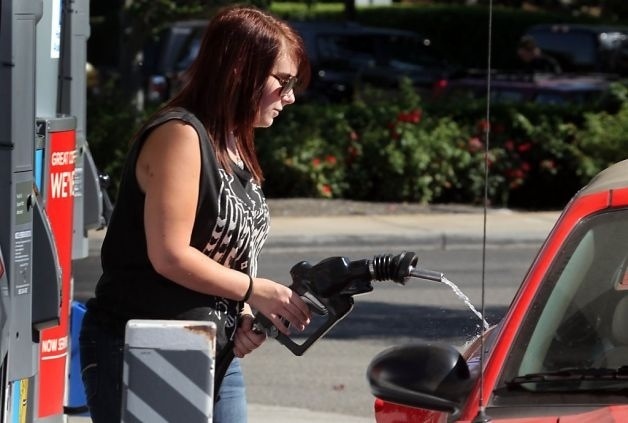 New Jersey enacted the necessary legislature to ban people from pumping their own gas in 1949. This was just two years after the first self-service gas stations in the U.S. opened up in California, with the popularity of self-service exploding like the gas fires Oregon and New Jersey legislatures were so afraid of when they passed laws banning it. Why Can’t I Pump My Gas in Oregon? I’m from New Jersey, so it’s only on the rare occasions I have to fill up the tank out of state that I’ve ever pumped my own gas. And yeah, when I have to do it, I look stunningly ridiculous as I figure out how the station wants me to do it. Crazy. Anyway, when it comes to tipping… I find I’m the only person I know that does. I do it for more for karmic reason, though, as customarily you do not tip them. However, if its raining, 20 or 100 degrees out, giving them an extra buck or two to get a soda or coffee is a simple nice gesture. @Mike: Awesome! That’s what I wanted to know. Being from Washington, I always felt a little awkward when they’d clean my windshield and pump my gas and I wasn’t sure if I was being a jerk for not tipping (if it was typical). Thanks for the info! Oregonians like being waited on by gas station attendants, no slogging through the rain/snow/ice or heat of summer to pump it ourselves. The attendants are usually friendly and courteous too. And the price at the pump is the same or even lower than adjoining states. Never heard of tipping a station attendant. Actually I live in WA, but commute to OR everyday AND I ride a motorcycle. The attendants for the most part are fairly careful, but putting the gas in the top of the tank vs the side, seems to throw them for fits, and (at least in my experience) would drip gas all over the tank, then hand you a dry paper towel to clean it up. There is also the issue of the gas leaking down onto the hot engine. Don’t know what the flashpoint is, but I’m willing to bet it was a liability of some sort. Point #14 is the only real one: this is a program designed to reduce the unemployment rate. Everything else is nonsense. @Eric Lawrence: The was pretty much my thought as well. In British Columbia, Canada they where think of doing the same thing. The idea did not come from the gas being dangerous but to stop pump and jump. When someone was about to leave without paying the inside clerk ran after them. He got dragged down the block and got ran over ending in his death. I found out about New Jersey’s law the same way you found out about Oregon’s, where I was driving from Ohio to New York and was in NJ for the first time; an attendant rushed out to correct my usurpation of his job. Being from the socialists state of Ca. and paying outrageous prices for gas, since this liberal environmentalist populated state requires 4 different grades/additives to gasoline being refined from crude, one for each season. I was very happy on a recent trip to beautiful Oregon where the gasoline was actually 0.75 cents a gallon cheaper, and was pumped into your vehicle by an attendant. I love the idea of attendants being required to pump gas, it creates jobs. Those jobs may not pay a lot, but it’s better then being unemployed or on continual unemployment like many unfortunates in my state, my soon to be ex state. I will be moving to beautiful Oregon in 2 years when the wife and I retire. When we move to Oregon we will also be very happy to not pay 9.75% sales tax on every damn thing we buy except food in a grocery store. In Oregon you can go buy pillows, clothing, furniture, fast food, beer whatever and not pay one darn red cent of sales tax. What’s not to love. you might not pay sales tax but all the other taxes income,property, etc. make up for it as Oregon is in the top 5 states in the us for total taxes. Enjoy your tax bills and liberals.. Being an Oregonian, you have to deal with income tax which basically makes up for not having sales tax. But when you have a state with people who aren’t working and are unemployed , there are bound to have state budgetary cutbacks. I believe gas attendants help with contributing to the state even if it’s a fraction. One plus, is the OR/WA tax exempt agreement where if an Oregonian was to shop in WA, they could show their OR ID and not be charged sales tax on their purchases with a few exclusions (hot foods, liquor) in WA. Thanks for including the list of reasons, I had never wondered or cared, I just like not having to pump my own gas. I’ve lived in Oregon since 1978 from Rockville, Maryland where I lived for 26 years and I prefer the way it is in Oregon. I like not having to pump my own gas, and I really could not care less what anyone north of the Columbia River thinks about this topic or any other topic actually. Yup, this in Oregon where its thought to be unsafe to pump your own… we hire teenagers and pot smokers to do the job for you! Why are people in Oregon called “Oregonians,” but people in New Jersey called “people in New Jersey”? I’m wondering if it doesn’t apply to diesel. I’ve filled up a big rig in Jersey of times on my own. At every truck stop I’ve ever been to in New Jersey, actually. Maybe the law doesn’t apply to diesel?